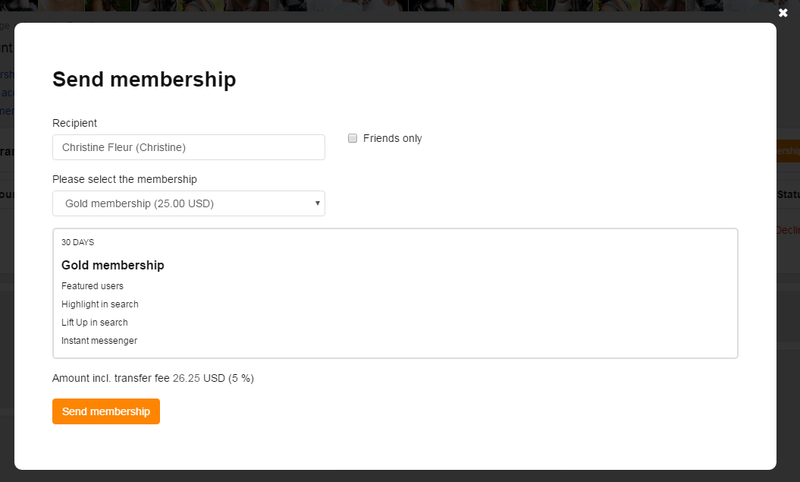 The Gift of membership add-on is about site members paying to send each other memberships or VIP statuses as a gift. The site owner can choose to collect commission from every transaction or not to do so. This is how it works. A person open Donations in his/her account on the site, selects a site member who s/he wants to send a membership to, then confirms the transaction, and then waits. The addressee receives an email notification and has the choice of accepting or declining the gift offer. When the sender confirms the transaction from the internal account, the cost of membership (plus commission) is ‘frozen’ on their account. If the recipient accepts the gift, the money is deducted, and if the recipient declines — the money returns to the sender’s account less the commission. 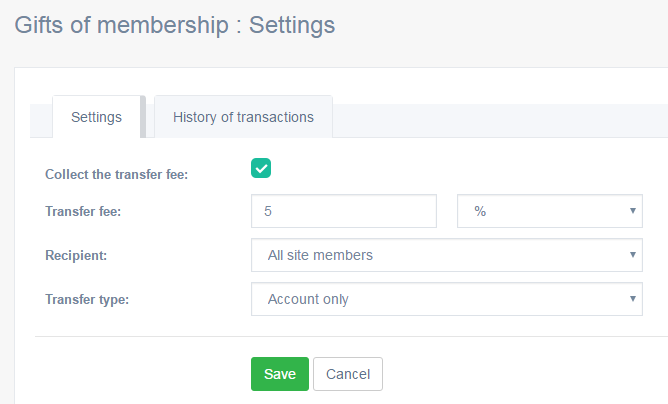 The site owner can also allow direct payments via built-in payment gateways such as PayPal, Stripe, etc.